El Camello is located on the outskirts of town where you need to drive to get there. They have this disadvantage in terms of the location, however it can not be the reason less people visit. 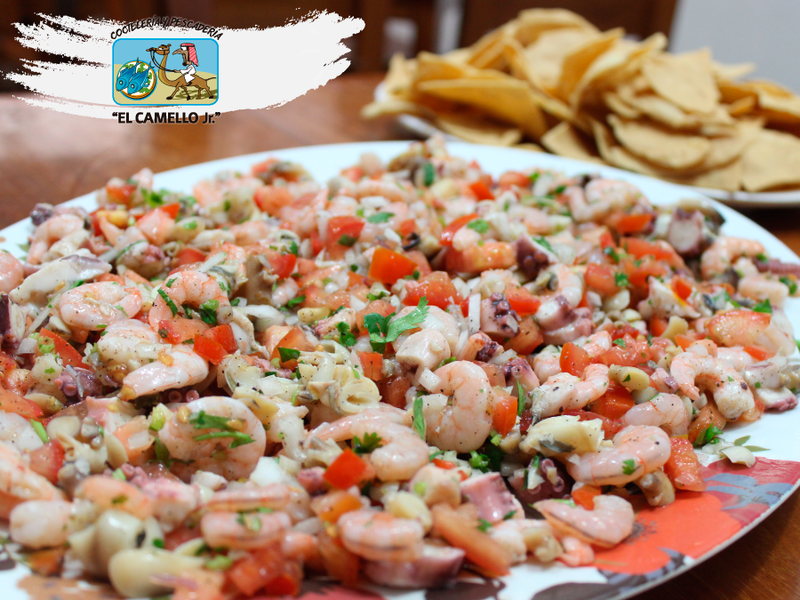 El Camello serves the fresh and local seafood in Tulum, and which is not what other restaurants in Tulum do. 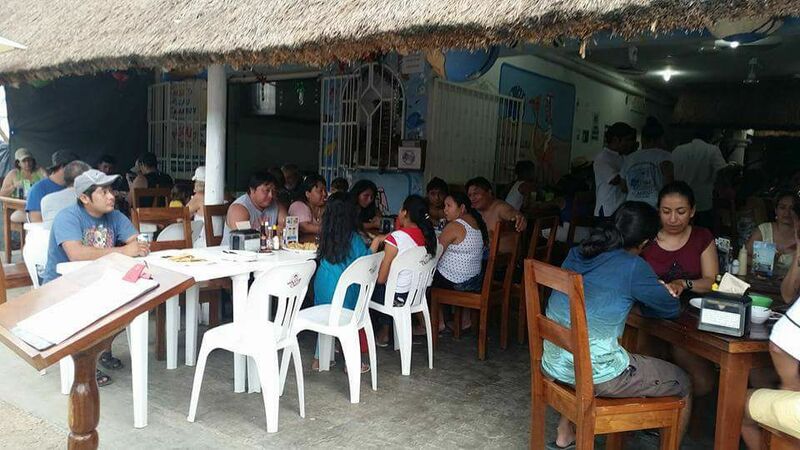 You find a lot of restaurants along the beach, but they tend to put high prices on not hearty foods. Hence El Camello worth taking a trip and you will not disappointed. The reason El Camello can serve freshest seafood at low price is that it runs a market next door. A lot of just caught fish such as snapper, sea snails, octopus and so on, are directly brought to the kitchen and prepared for you. You may also get fresh seafood at the market and cook at home. Most of people there are regular customers and they don’t even look at the menu to order. This is exactly locals people stop by to have conversations or relax. 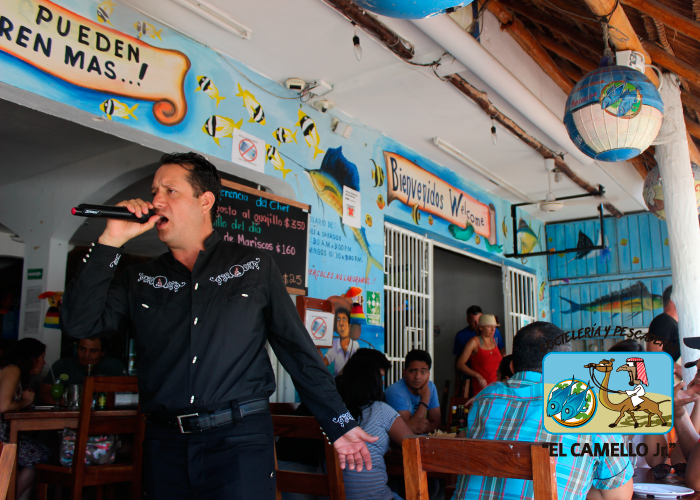 Before you take a long trip to El Camello, allow me to say that you should not expect the cleanest or fancy vibe there. There are simply plastic chairs and wobbly tables which are sometimes have dust, because the restaurant directly faces the main road. However it definitely has Mexican vibe as well. The ceiling fans help you cool down and colorful murals of sea life make you feel you were on the beach. At night time, sometime they have live music and patrons start singing and dancing. This is the picture you can not see in tourist spots. There are so many options which use local fresh seafood and size range from small to large. At El Camello, think small as a large, because the potion is generous. 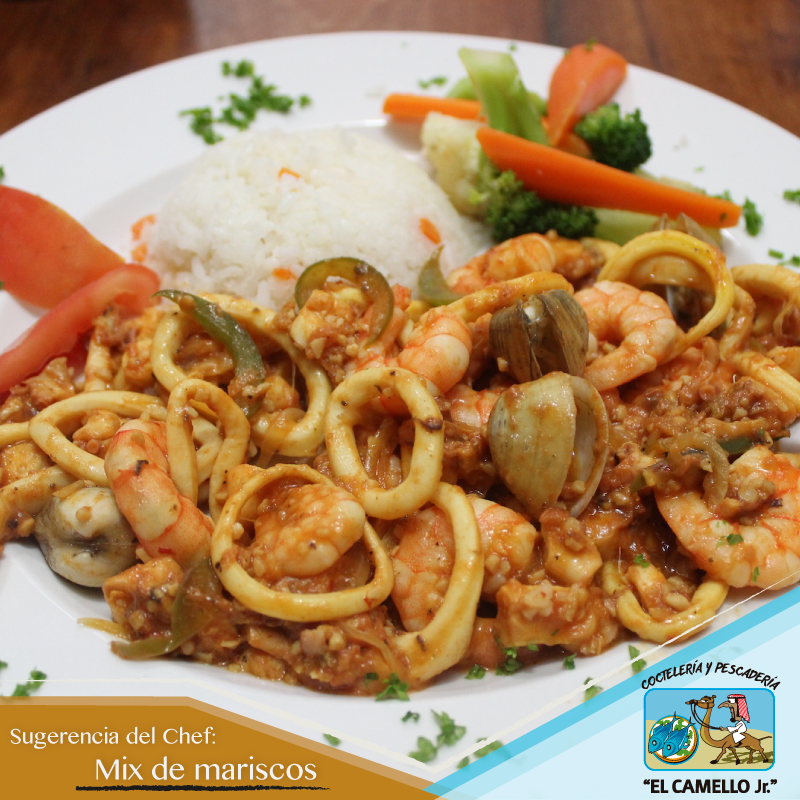 They have some meat dishes, however they are limited and El Camello is for the seafood lover. During you are waiting your foods, free chip are served with delicious dips. Here are highlights of menu. This is a must when you visit El Camello. A pile of chopped up fresh seafood is seasoned with lime juice and some veggies such as tomato, onion and cilantro are mixed as well. You can enjoy various texture in a bite and all seafood are very tender which is the evidence of freshness. This is the one locals order. The whole fish, head to fin, is fried as it is and flavored with garlic. 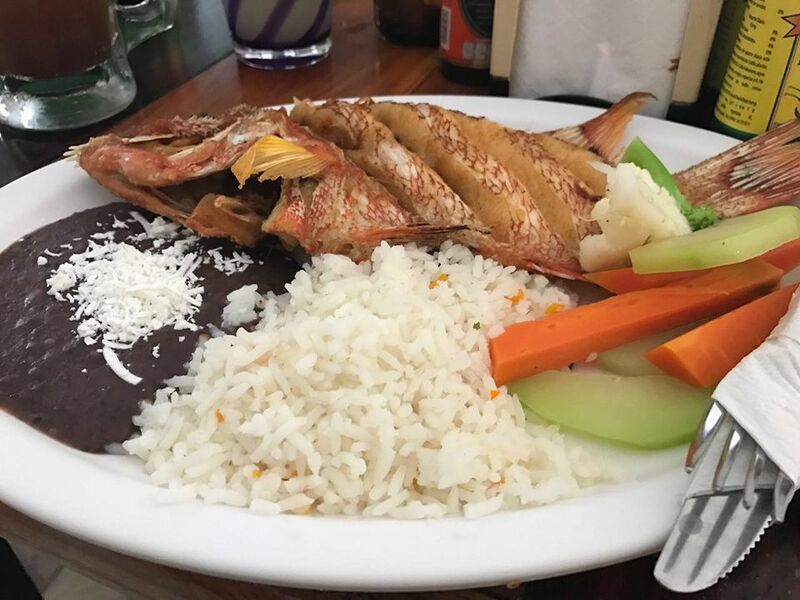 They might have some options of fish and a local fish, Boquinete, is recommended. It is served with rice and beans. Don’t forget to put lime juice on side as well. 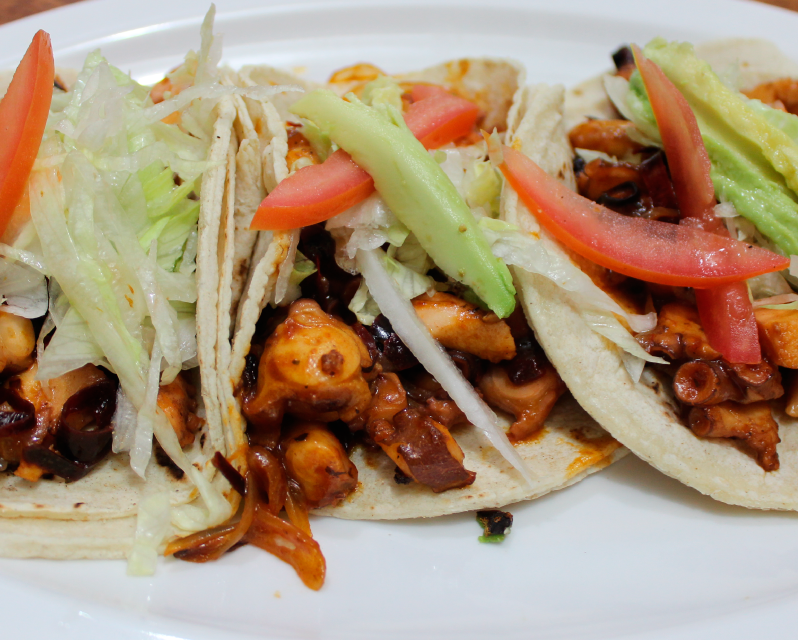 They have several types of tacos, for example Grilled fish tacos, Shrimp tacos and Octopus Tacos. Tempura-fried shrimps are very airy and light, and all tacos has avocado, lettuce and pico as well. Some people say the tacos is bland and if you feel so, I recommend you to add salsa or any kind of sauces on it. Mexico has various sauces to let you customize your food. Hence just approach the waiter and ask your options. I’m not sure how much the information above attracts you, because El Camello is so not a tourist spot. But don’t you think to visit those places are the best way to know and enjoy the town? Trust me. They let you experience Mexican culture and you will have a great food to fill you up. 【Queenstown】The Best Burger in NZ, "Fergburger"
【Victoria】Attractive All-Day Breakfast, "Blue Fox Café"